I could eat cereal every night for dinner. Seriously. Just rotate Cinnamon Toast Crunch and Honey Nut Cheerios, and I'd be completely content. To be quite frank, I am so tired by the 5 o'clock hour that I just want to get through the bedtime routine and sit. And eat cereal. I started intentionally planning our meals last year because we were in a season where we were just passing each other in the doorway - one person in, one person out. Between 5 and 6 p.m., we somehow got dinner cooked, ate that dinner, fed Liam, bathed Liam, spent a tiny bit of time with one another and then got Chris out the door for work. Meal planning was a way to provide myself some sanity and to make sure that we did in fact eat something besides cereal for dinner each night. Chris no longer works nights, but our week nights and weekends are still busy bustling in the door around 5 or later, and then personal, work- or school-related events in the evenings. Meal planning has saved us more than just money in our grocery budget. It's saved us communication breakdowns, last minute splurges to restaurants, and tired meltdowns at the 5 o'clock dinner hour. This year, specifically, I have made it a goal to be even more intentional with meal planning. 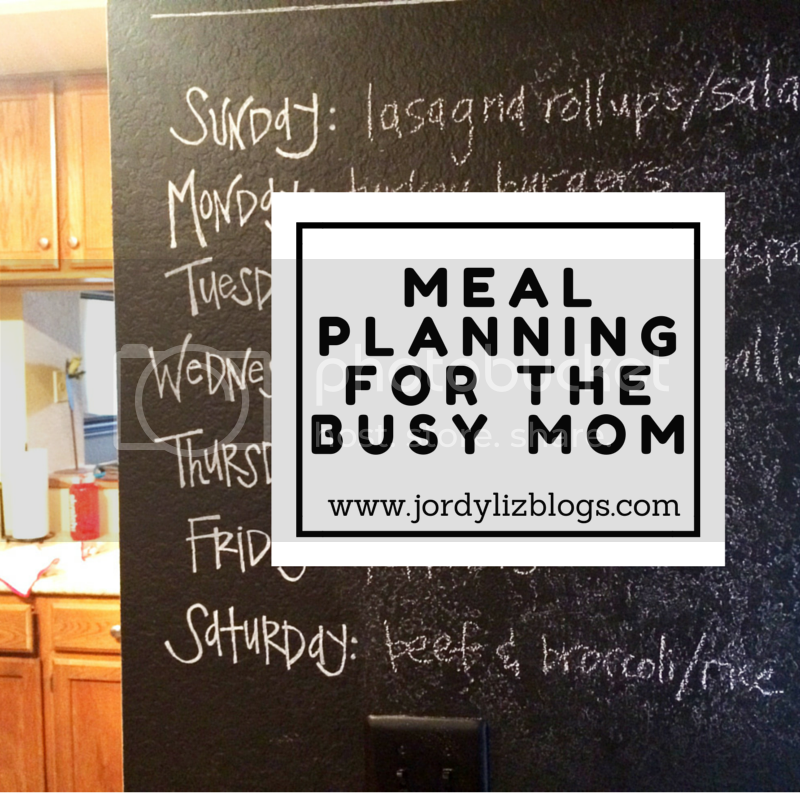 Over the next couple of weeks, I am going to share how I find meals to cook, plan out the meals for the week, grocery shop for the meals, and prep for an easy night of cooking dinner. I would love to read this blog series. Please share your tips!